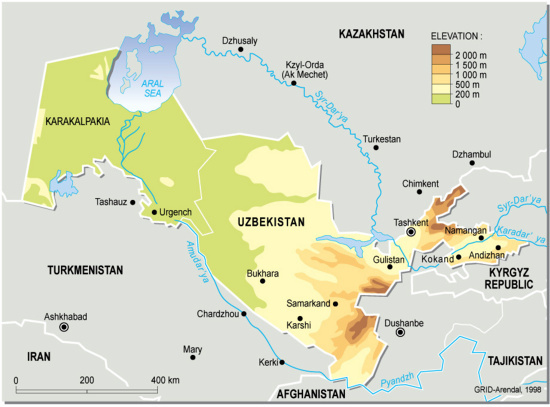 Uzbekistan is located in Central Asia, north of Afghanistan, comprising of 447,400 sq km. 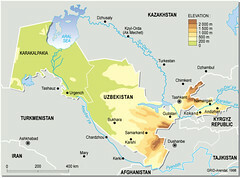 It has a population of 26,851,195 (2005). 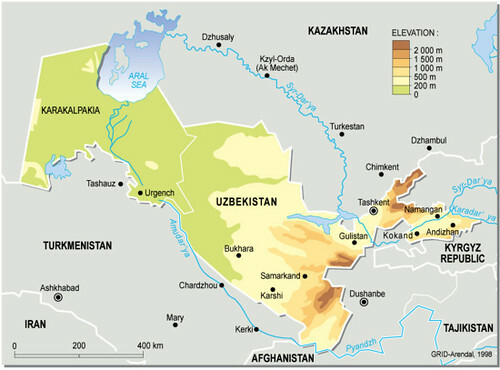 Major environmental concerns are: shrinkage of the Aral Sea is resulting in growing concentrations of chemical pesticides and natural salts; these substances are then blown from the increasingly exposed lake bed and contribute to desertification; water pollution from industrial wastes and the heavy use of fertilizers and pesticides is the cause of many human health disorders; increasing soil salination; soil contamination from buried nuclear processing and agricultural chemicals, including DDT.